I hope everyone had a great summer. With the weather being still so warm I am taking advantage of it and using this time to give my website a bit of a face lift. My wonderful web team Mediamojo.com.au is working on it as fast as they can to have it up and running. So please be patient as it will be well worth it. 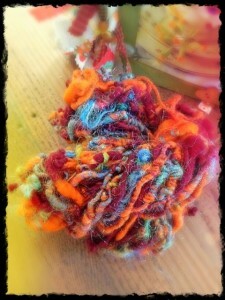 I am spinning away getting a lot of goodies ready for Autumn and Winter. There is also going to be a surprise, but that’s a bit later 🙂 sorry for the tease. I have also been gallivanting to wonderful Sydney, catching up with my dearest friends, I’ve also been to gorgeous Melbourne to visit my beautiful family. Now that I am over all my traveling and flights its back to it. I am looking forward to this years Autumn and Winter, the colours this year are so vibrant and cheerful. I might even get a chance to make something for me.